Kansas is home to a growing beauty industry. With the industry expected to grow 10% or more in the next few years, now is the time to consider a career in beauty. Becoming a licensed nail technician takes your love of makeup and nail art to the next level. A course or program at one of Kansas’s great beauty schools can help you turn your passion into a reward and creative career. Getting your license is just the beginning of your journey! Nail technician programs are fun, flexible ways to learn the skills of your new profession. It’s a great way to connect with other passionate people in the beauty industry, and learn the ins and outs of the job. Whichever of Kansas’ many beauty schools you choose, they’re generally quick, at 350 hours of training (350 hours is less than many states, including California) over at least a three-month period. You will study a variety of topics to help you in your career, including repairing nails, nail irregularity and diseases, chemical safety and OSHA Regulations, and manicure and pedicure styles. Kansas state regulations have two exams important to getting you’re your license. You’ll need to complete your program, and prove your educational requirements have been met at the time you submit your application. The written exam is a 2 hour computer-based exam that covers anatomy and Physiology, Kansas State Laws, Rules and Regulation, and theories of nail care, services, product knowledge and tools. The practical will take place in a real manicurist setting, with a mannequin. You are responsible for bringing your own kit and mannequin to the exam. You’ll need to get at least a 75% on both exams to qualify for your license. Once you’ve completed and submitted your exam scores, application, and government ID, you will receive your license. If you are still waiting to take exams, you may apply for a temporary permit. Be aware you can only do so once. To qualify for a license out of state, you may be able to apply via endorsement. Check with the board for your state’s specific requirements. You must have completed at least 350 hours of education, have a current license in good standing, and confirm with a medical professional that you are currently free from infectious or contagious diseases. 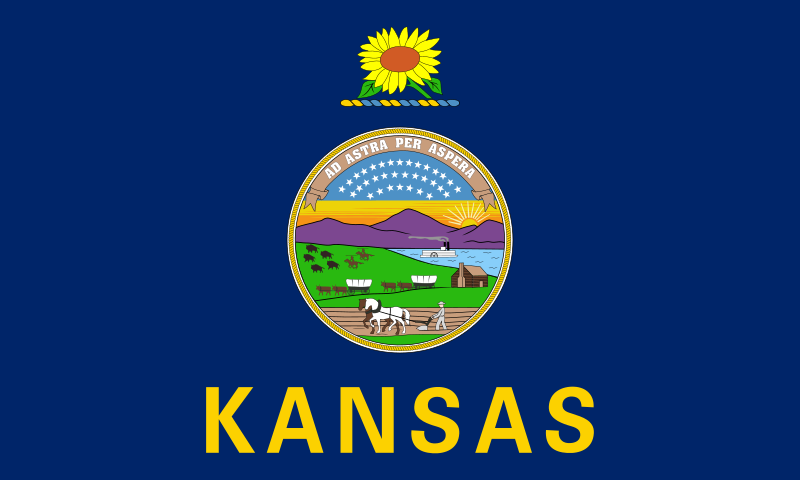 You are still required to take the Kansas State Board’s written exam, but can be exempted from the practical, depending on hours of work experience. Kansas does not require nail tech continuing education courses to renew your license. The renewal cycle is every two years from the date of the original issue. If your license lapses, the fee to renew will double, and if you have been out of your license for six months, you will need to pay a significant fee. Kansas has a growing beauty industry, even in the more rural areas of the state. If you’re looking for work as a manicurist, you’re sure to find it a flexible industry to work in, with plenty of full and part time positions. As you progress in your career, you may consider opening your own salon. You may also take an extra 600 hours of study, and become a manicurist instructor for higher salary as well. Check out jobs.kansascity.com for a great preview into your new career! Also take a look at the supplies you’ll need — including tools and equipment — in order to do your nail training. Other Kansas schools for cosmetologists, estheticians, barbers and makeup artists. Any Kansas schools for nail tech training missing? Please use our contact form to let us know.